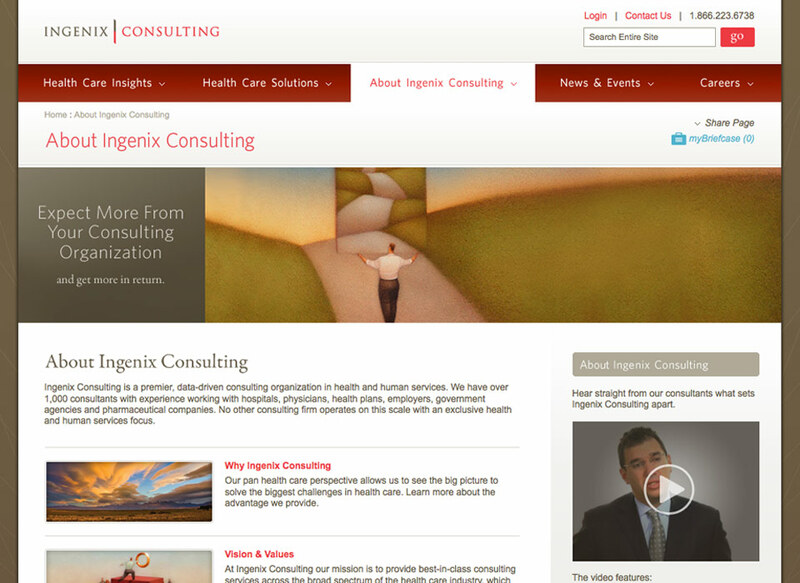 Ingenix, a division of UnitedHealth Group engaged us to create an identity for their new health care consulting group called Ingenix Consulting. 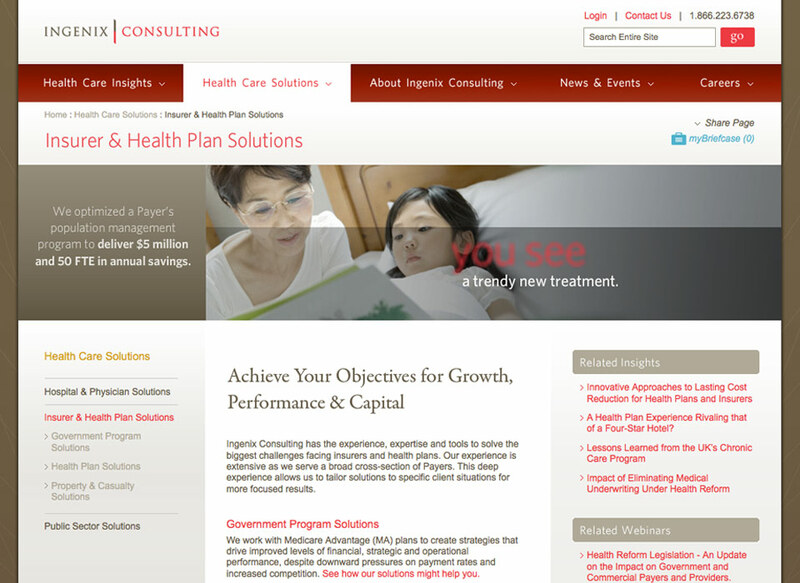 We began by working together with Ingenix to establish a brand position, mission, vision and messaging strategy for Ingenix Consulting. 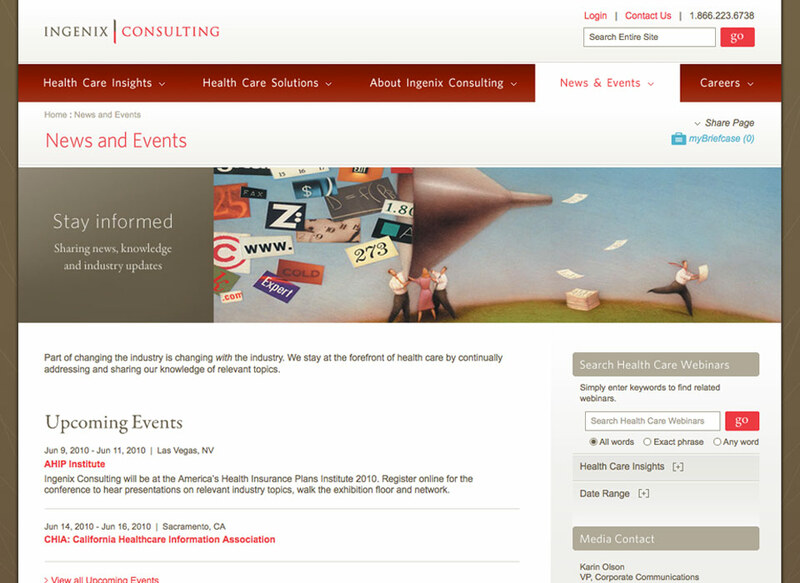 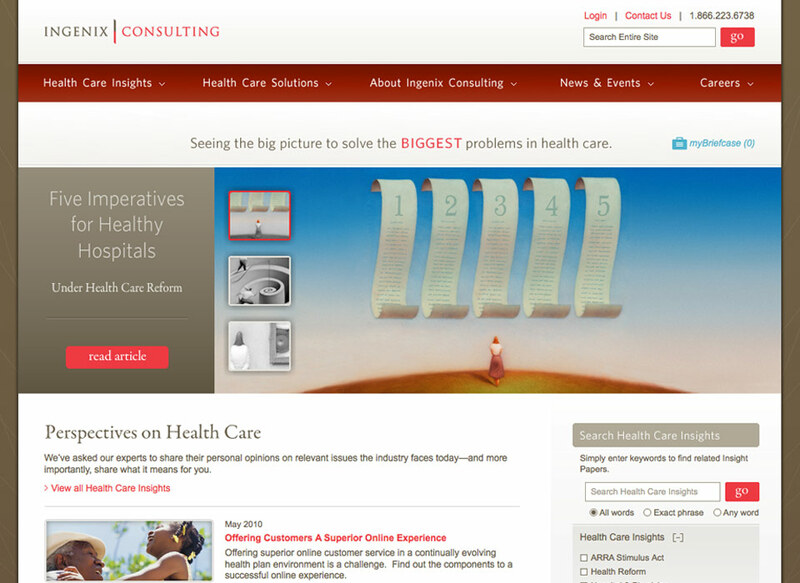 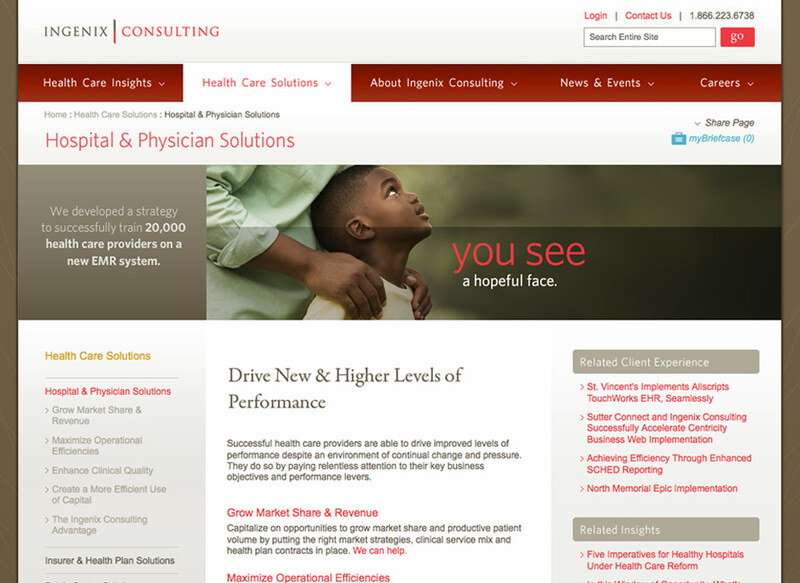 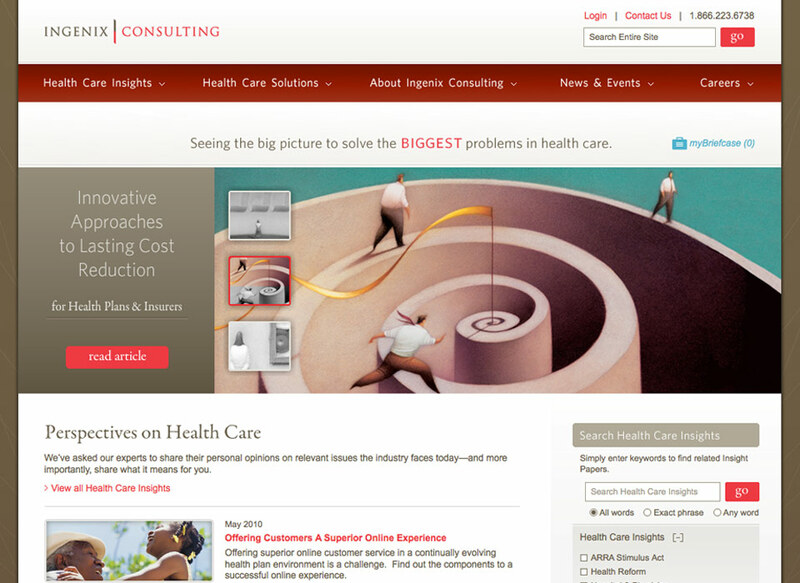 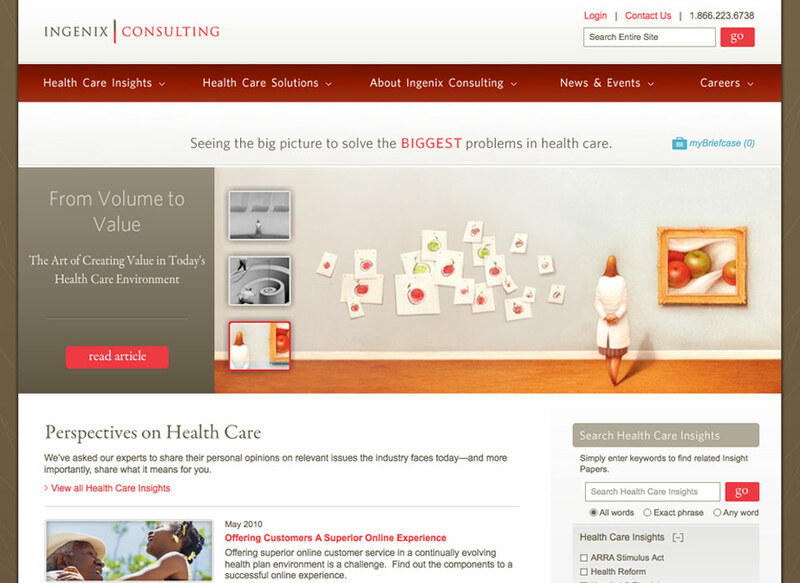 Since Ingenix Consulting now had access to the industries largest repository of health care data, we positioned Ingenix Consulting as the company that can “See the big picture to solve the biggest problems in health care”. 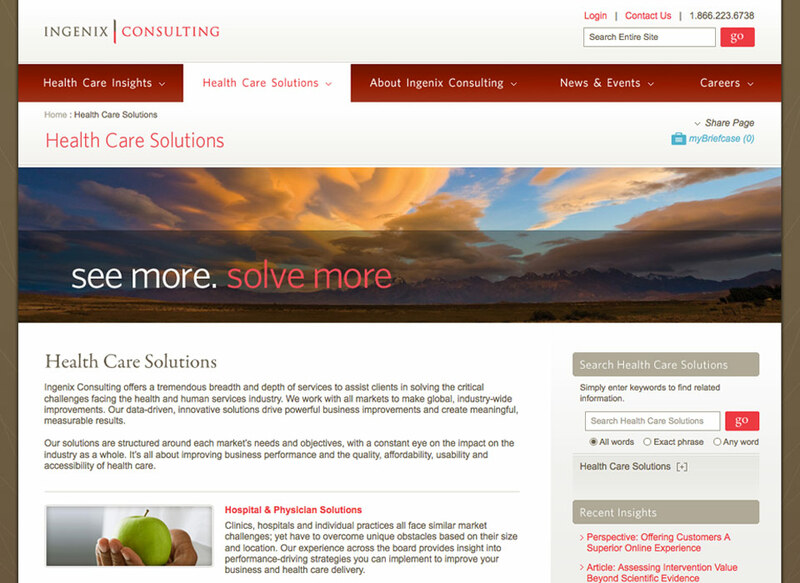 Our engagement also included creating corporate stationery, sales collateral, promotional items, and the Ingenix Consulting website.